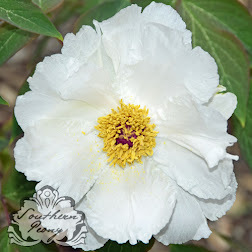 When I went outside a couple weeks ago I noticed something strange with some of my peony seedling labels... They were all on the ground. 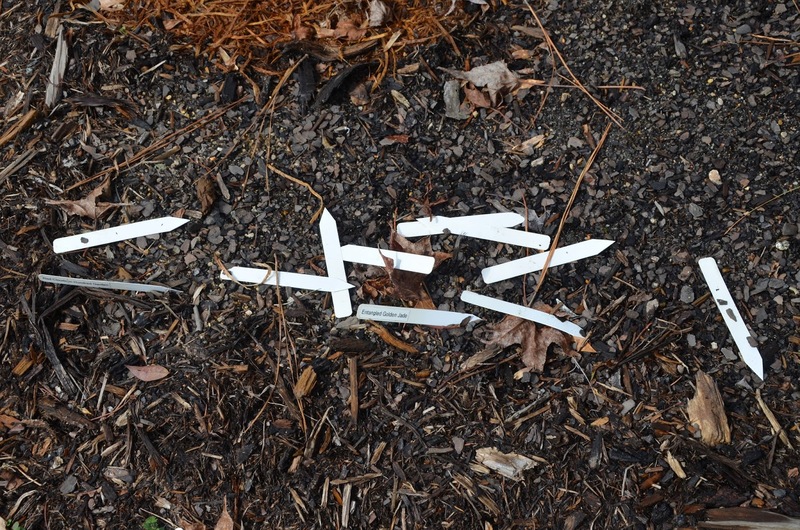 Apparently these plastic labels are too lightweight and could not withstand the constant freezing and thawing of the ground here. I guess that's a valuable lesson learned. 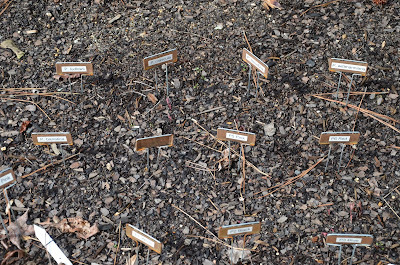 I won't know the parent name for of all of the Chinese peony seedlings that I so carefully labeled and had my Chinese husband translate for me. What a waste! Well I guess I'll stick to the tried and true steel and copper plant labels that I've been using since 2007. These have never been heaved from the ground like these plastic plant labels! 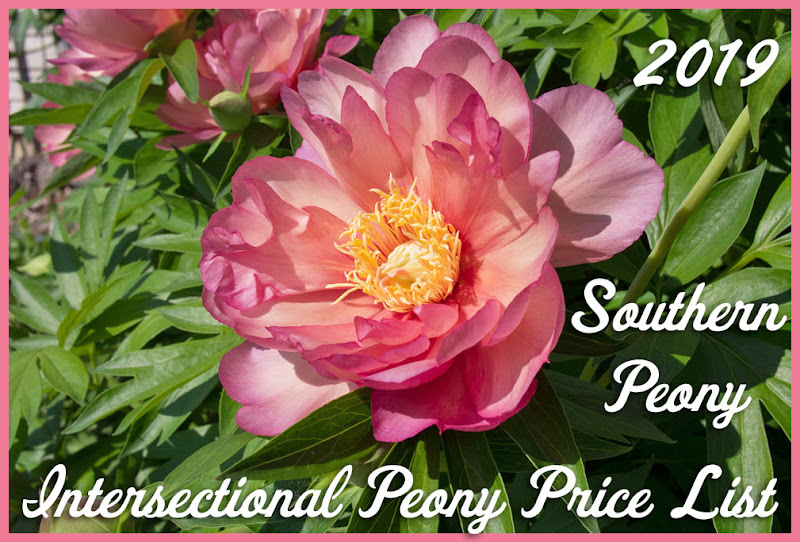 Too bad I never got around to putting these on my peony seedling map... 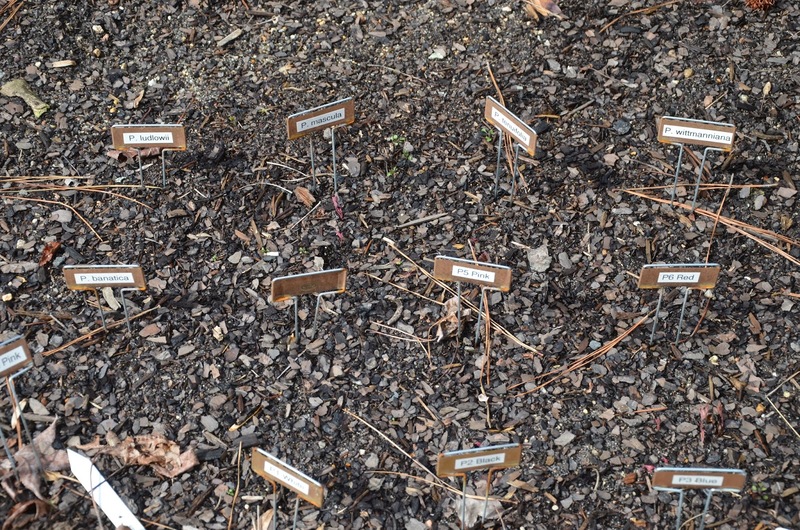 I guess if any of them turn out to be worthwhile seedlings, they'll get a new name anyway! It would have been nice to know their heritage, though, assuming they were labeled correctly in the first place.